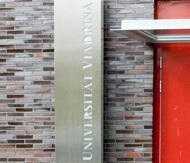 Movie: "A Love Story at Viadrina"
A university on the river – driven like a river’s current. The word river has a very special meaning for Viadrina. Firstly, this is due to the river on the banks of which the university lies. Just like neighboring Poland, the river is in our immediate area. 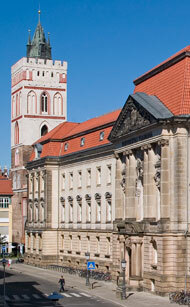 This, in turn, has helped developed a close German-Polish connection; because of this, Viadrina is transforming itself into a German-Polish, European university.